Design and be Creative at Beads Inc.
You all know that I love designing and being creative. I’ve always thought it would be fun to design my own jewelry for a unique and one-of-a-kind look. Lucky for me (and you! 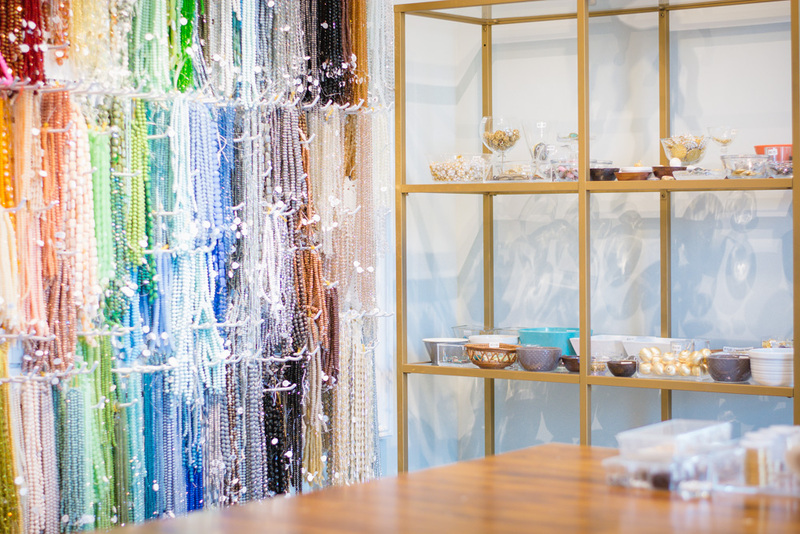 ), I found Beads, Inc. here in Charlotte where you can do just that! It’s seriously the best place for a fun and unique girls’ night (you can bring wine!) or a lovely solo afternoon (I find it a little therapeutic and good “me time”!). Before going there, I assumed they would have many beads to choose from, but seriously nothing could prepare me for the crazy amount of beads, stones, tassels and all sorts of other materials to design whatever you can imagine! You’ll be super excited (and maybe a tad overwhelmed) to get started, but first, I suggest taking a lap around the entire place (upstairs and down) and just grab whatever catches your eye. Don’t worry about how anything will work together, just grab what inspires you! For me, on my first lap, I found these stunning purple large circles and gorgeous gray and white rectangular stones encrusted with rhinestones. Another way to do it is to have a specific outfit in mind and design your necklace to complement it. That is exactly what I did with my blue choker. I wore the jumpsuit into the studio and we designed it to match the blues and were able to size it perfectly. I love how unique it is! I created three unique looks that I absolutely love and cannot thank Beads, Inc. enough for how welcoming and helpful they all were. Seriously you all will absolutely love this place. It’s so fun to let your creative side come out and make pieces tailor fit to your style. 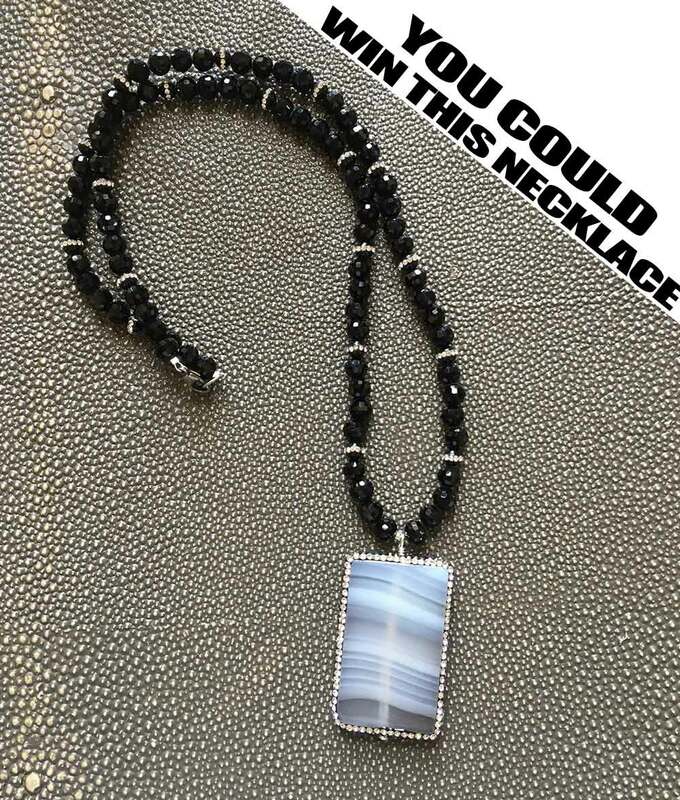 Leave me a comment below on which of my three necklaces is your favorite and I’ll pick a random winner on Friday July 15th, 2016 to win this custom made necklace!